Inefficient burning and poor smoke extraction are possible consequences of mismatching a fireplace and a chimney, so correctly calculating the chimney size is important. Additionally, chimneys are subject to legal control and you must comply with local and state regulations concerning the minimum cross-sectional area. Calculating the correct chimney size involves determining the fireplace opening area, or the area of the connection to the chimney, and applying that information to the formula stipulated in your local building regulations. To be efficient and safe, a fireplace must vent via a chimney of the correct size. Consult with your local planning department to establish the regulations pertaining to your residence because it will specify the relationship between fireplace size and chimney size. For example, in Massachusetts the State Board of Building Regulations states that a round chimney shall have a minimum net cross-sectional area of at least one-twelfth of the fireplace opening and square or rectangular chimneys must have a minimum net cross-sectional area of at least one-tenth of the area of the fireplace opening. 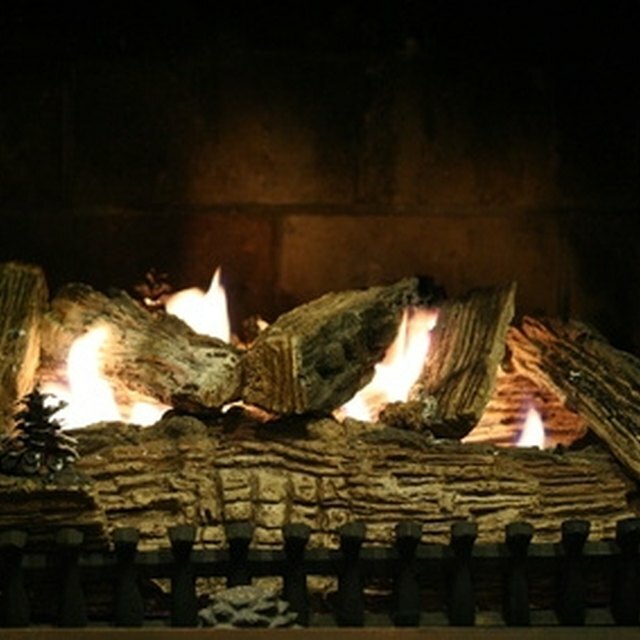 By contrast, in Wisconsin the chimney must have a cross-sectional area at least equivalent to the area of the chimney connector on the fireplace. Multiply the fireplace opening by the chimney size factor stipulated in your local regulations, taking into account the intended chimney shape. The result is the minimum cross-sectional chimney area required. For example, a fireplace in Massachusetts, with a square chimney, and an opening area of 600 square inches would require a minimum chimney cross-sectional area of 60 square inches -- 600 x 1/10 = 60. Consult the local regulations concerning chimney height and fireplace opening area. This may place additional requirements on the minimum chimney size. For example, although the minimum cross-sectional area for a square chimney serving a 600-square-inch fire in Massachusetts is 60 square inches when based on the 1/10 rule, the size may increase to a minimum of 82 square inches if the chimney exceeds 20 feet in height. Consult with the fireplace manufacturer's documentation, after calculating the permitted chimney sizes, to ascertain which chimney regulations enable you to prove the best suited chimney for your make and model of fireplace. Most manufacturers will state the preferred chimney size for their products. Ask you fireplace supplier to explain the local rules and regulations concerning chimneys and to advise you on the appropriate size. Some areas may have additional legal or recommended regulations concerning the size and construction of chimneys. For example, measures to limit earthquake damage may influence the width and height.